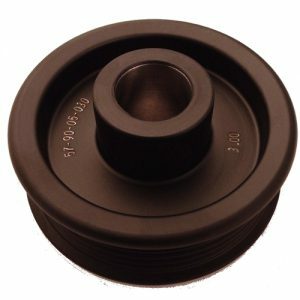 This is a replacement supercharger pulley for the TRD/Magnuson Supercharger for the 1GR-FE engine found in the 2005-2015 Tacoma, and 2007-2009 FJ Cruiser. 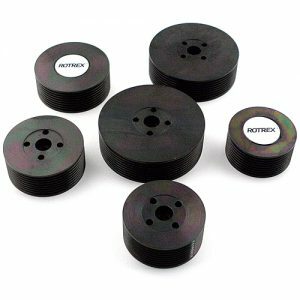 This pulley is 2.55″ where the stock one is 3.00″. 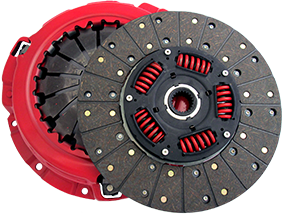 The normal increase in boost is 3-5.5PSI over the stock pulley with normal power gains of 30-40 HP depending on the combination and ambient conditions. This “STEALTH” pulley is very similar in appearance to the stock pulley that comes on the supercharger and will work with the standard size supercharger belt. It even has the stock pulley part number LASER etched on it. 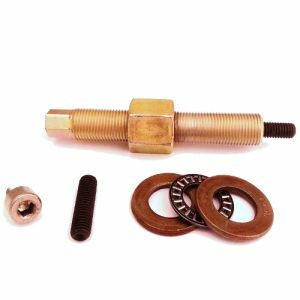 Installation requires removing the stock pulley with a strong gear or supercharger pulley puller and a special tool to press it onto the input shaft. You can have this done at your local speed shop or you can purchase the URD Press Fit Installation Tool to do it yourself. The pulley overlaps the front part of the supercharger nose drive. This pulley’s inner diameter is smaller than the outer diameter of the supercharger nose drive so the nose drive will need to be machined down to be able to accept this pulley. 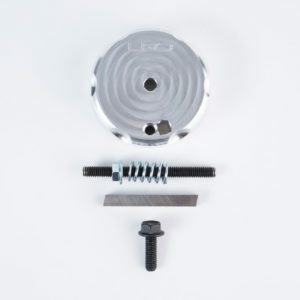 URD has a Snout Cutter available so that you can do this YOURSELF while the supercharger is installed on the engine. Details on the Snout Cutter can be found here. 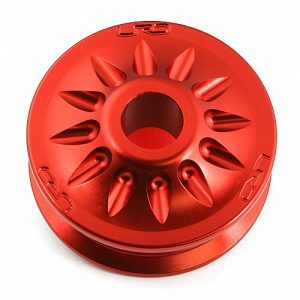 You can purchase the Snout Cutter at a discount when purchased with this pulley by selecting the upgrade option below. 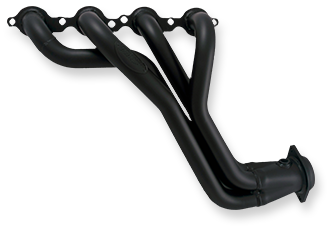 Note- Does not fit the Magnuson supercharger for the 2010 and later FJ Cruiser and 4Runner.